Period of PUPRLE Crying ® materials are available for healthcare providers in Montana. 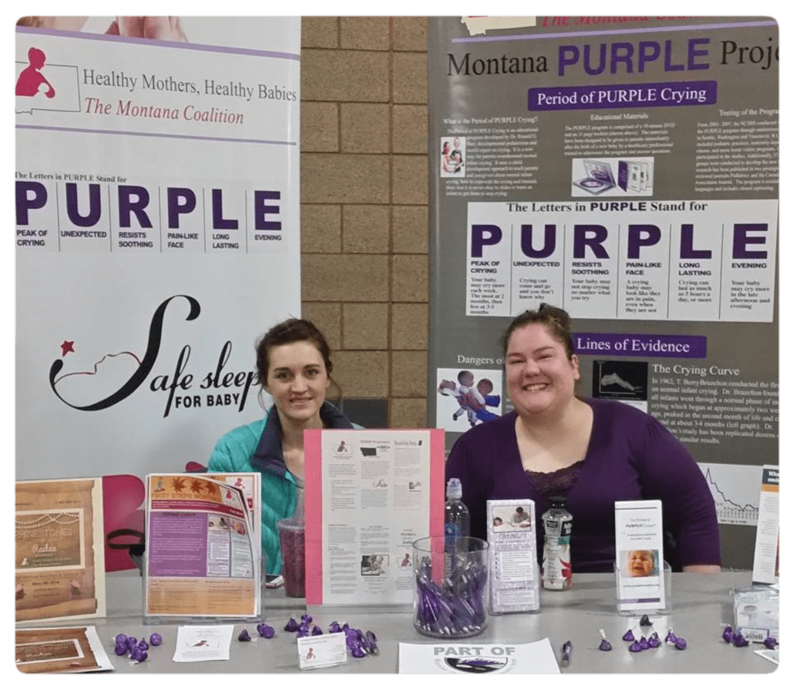 Contact Healthy Mothers, Healthy Babies- The Montana Coalition to learn about joining the PURPLE-MT program, in partnership with the National Center on Shaken Baby Syndrome. Call 406.449.8611 or fill out the contact form below.